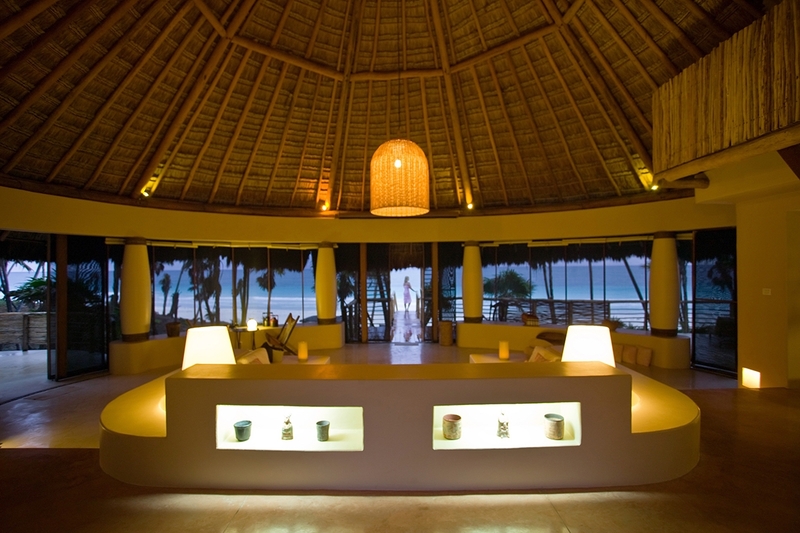 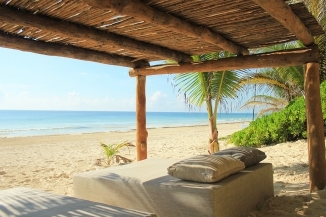 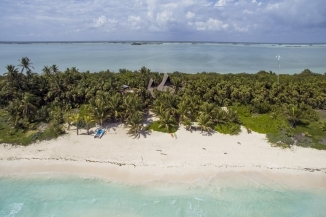 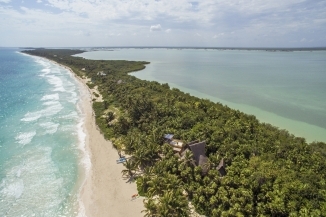 The villa sits on one of the most spectacular beaches worldwide, gazing across the sea with gracious open spaces and generous grounds for reading, relaxing or sunbathing, offering complete privacy with high-end service only 20 minutes from Tulum's restaurants and nightlife. 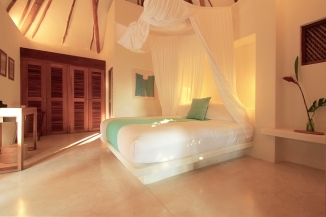 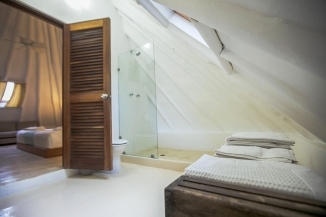 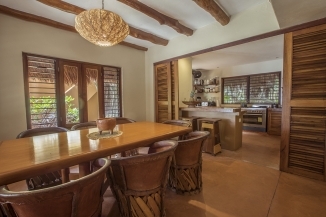 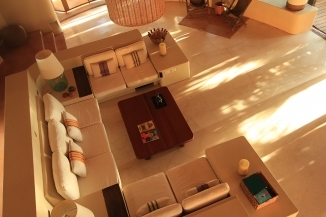 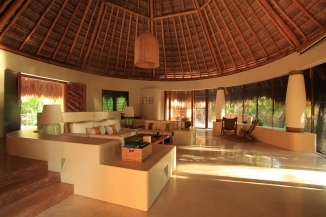 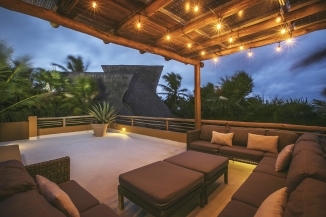 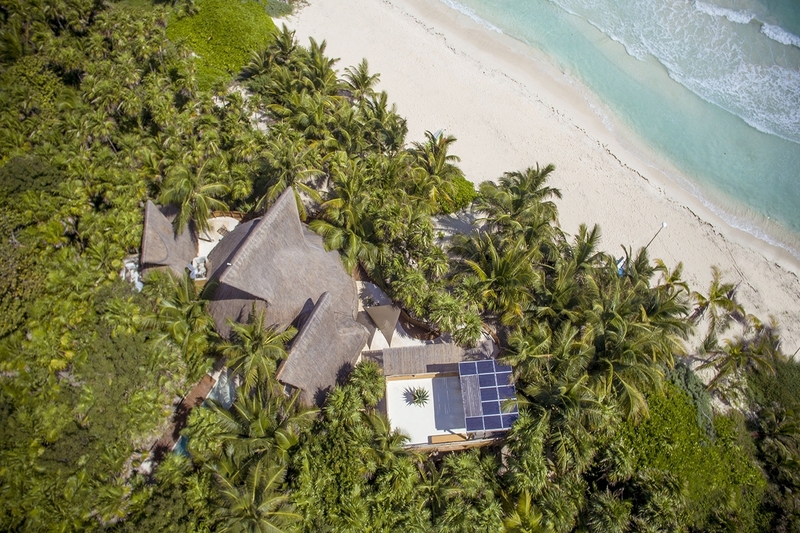 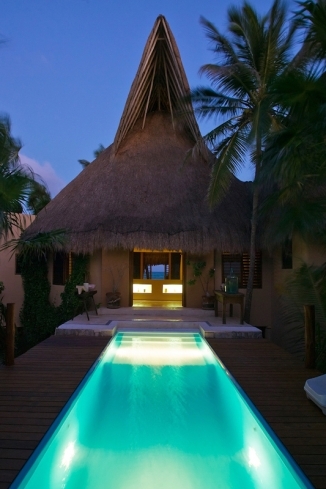 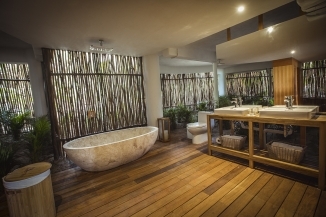 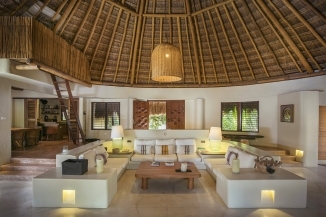 Casa Nalum is legendary, being the first property of Nalum Private Retreats; its successful concept has been a blueprint for all the other luxury villas. 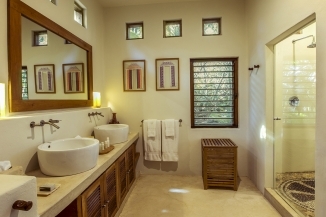 It has been a home to many guests, who over the years have desired a private secluded hideaway with attentive and discrete service. 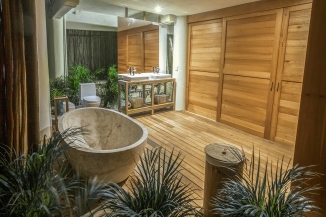 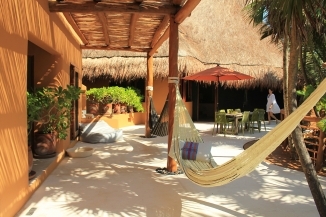 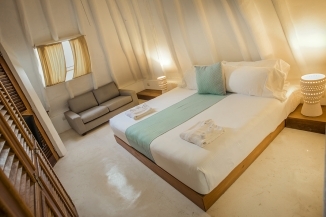 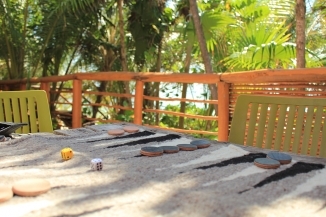 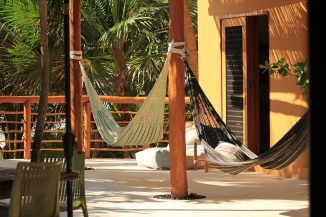 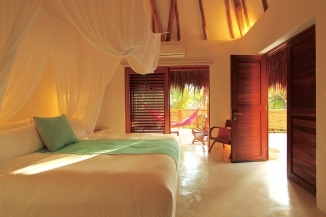 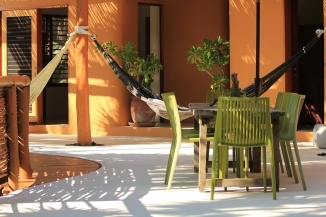 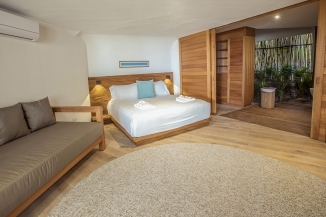 Nalum, meaning "Mother Earth” in Mayan, is a place to relax, reconnect and simply enjoy the beauty of nature. 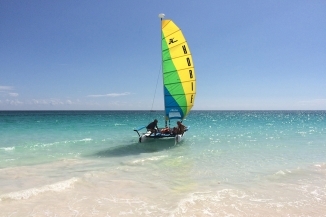 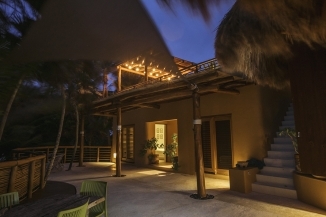 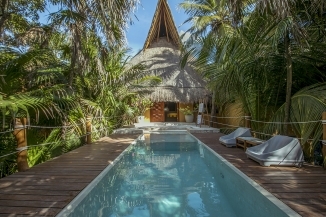 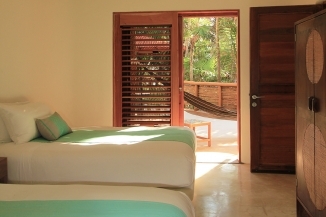 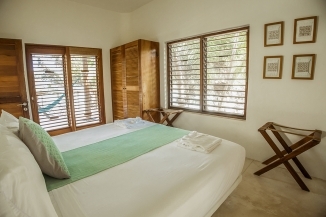 Distance from Tulum: From the town of Tulum it’s approximately a 20-minute drive to the entrance of the Sian Ka’an biosphere (depending on the road conditions and the weather). 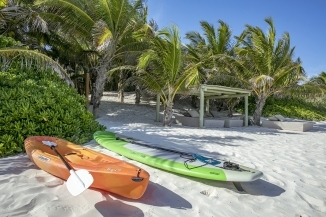 Once you pass the arch entrance, it is another 15-20 minute drive on unpaved road, depending on the road condition. 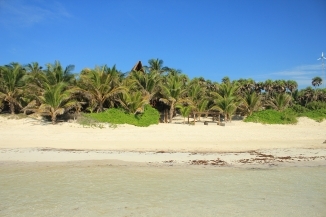 Casa Nalum is at kilometer 5.3 on the left hand side.